This was my first car - a 1964 Ford Galaxie 500 that I bought in the summer of 1996 and owned for about a month. It was as impractical as it was impulsive, being too high maintenance for a gal like me, a gal who had never driven or owned a car, yet it totally screamed "Léna!" It's FOR SALE sign taunting me the first couple of weeks I lived in Moab, it's price of $1500 too hard to resist. It was in mint condition inside and out: gleaming red on the outside with red seats and red and black fixtures on the inside. Dang she turned my head. It was a veritable love machine, and I christened her Venus. The first night she was mine, I took her up to the Sand Flats with my future husband and we lay back on her hood and watched the shooting stars so prevalent in the August sky. Magic. "Thank you officer!" I said, a little too happily. "It won't happen again!" I wouldn't be giving any more rides: it was all a risky business. I enjoyed being in a car, I just didn't enjoy driving one. Perhaps I had learned too late in life - perhaps I would never enjoy it. My driving history isn't long. I didn't get my license until 1995 when I was 27 years old, and that was just as a rite-of-passage, an adult ritual that I needed to undertake. I wasn't very confident, or very good, as my friends who had been driving since their teens quickly learned. "Come on, you can do it!" They would cheer. I went to Puerto Rico with a friend who after five minutes told me for the love of God to pull over and let her take over. Then the first time I went to Moab with my BFF, same thing happened. Both friends were shocked when I announced that I wanted to move there. "Bu-bu-but you can't drive!" They splurted. "Um, no offense." I soon found out, because I heard a siren, and a cop car showed me how to pull over . . . by nudging me over. The driver's side of the car was completely dent in and damaged. An inch more - oh, dear, it could have been much worse. They asked me if I had been drinking and I started giggling. Of course I wasn't drinking. But I sure as $%#@ was freaked out. Traumatized. Playing dumb, which - hey - I really was in this instance - didn't work. I got a ticket, but I couldn't melt down, I had to keep driving. But I got to the dizzying mountains of red clay, where my driving hijinks became legend, and then back to NYC only to return again, even though - maybe especially because - I would have to drive. I knew that there was a part of me that needed to grow up out there. I needed a car so I bought Venus, thinking she was my next right thing. I bought her from an elderly man whose wife wanted him to quit his "hobby". Fortunately, when it became evident that Venus and I ultimately weren't a good match after all, the elderly man was eager enough to buy it back from me, and I was able to buy a used Ford Taurus which got me around on the open highways quite nicely. I was comfortable behind the wheel as long as there were no cars too close to me, as long as nobody was telling me to speed up or pull over if I was too slow. However, when my husband-to-be and I left Moab for San Francisco and then back to New York City, I stopped driving completely, and I trapped myself in the belief that I was too anxious and incompetent a driver to bother learning. We are what we think: we become our self-fulfilling prophecies. But y'all know the happy ending, right? We moved to the 'burbs last summer and I can't believe how much I love driving now. I am not holding onto the old belief of stupidity and incompetency: I have proved myself capable of handling a large, powerful vehicle.I am driving on highways and merging with traffic, and enjoying the artistry in driving. And I am constantly grateful that I never drank and drove. I fear that if I had, there is no way I would be here now. And fifteen years later, I LOVE that my bad twenty-eight year old self had the chutzpah to call an awesome 1964 Ford Galaxie 500 her first car. No regrets, people. Next up: putting my face in the water whilst swimming. Classic and funny. You've had a full life, complete with a two week coma! Eek! That's so funny about the go-cart! You may quickly find stomped about if you move about your replica chanel. Never slide to the surefire discounted key. You will not ever find a realistic Vuitton product or service at the fake cartier. In case a person is intending for you to influence anyone in any other case, you happen to be managing a person selling which you replica gucci. You may need get virtually no concerns over it. Only go forward. If you are on-line you'll be able to visit the LV site to see the knowledge generally there. You can find sitemaps for you to merchants as part of your vicinity offering actual cigarettes. To stop staying deluded straight into acquiring false Louis Vuitton, obtain merely via certified louis vuitton replica. The key aspects of a new well-made handbag include the seams along with zippers. In case these kind of never purpose effectively, and then, your electricity price in the handbag can be missing. Nevertheless, if you obtain chanel replica, this is just what you will definately get. Seams will often be machined jointly crudely. Thanks for sharing your experience with us. First car will always be a memorable and a beloved car as it is your first four wheeler that you stepped in. But guys do you really think previous cars were efficient? I don't think so because they were running on fuels and polluting our environment. But now days with technological advancement we have new cars with new technologies implemented eradicating pollution and effortless driving. It's right first car is always an experience to deal with. One or more proper way to enjoy the story in future. The more you will recover from the past bad experience the more you will get good experience from your vehicle. But let's say the servicing and maintenance is very much needed for people maintain the vehicle. In our life when we purchase a new thing first really it is precious for us. 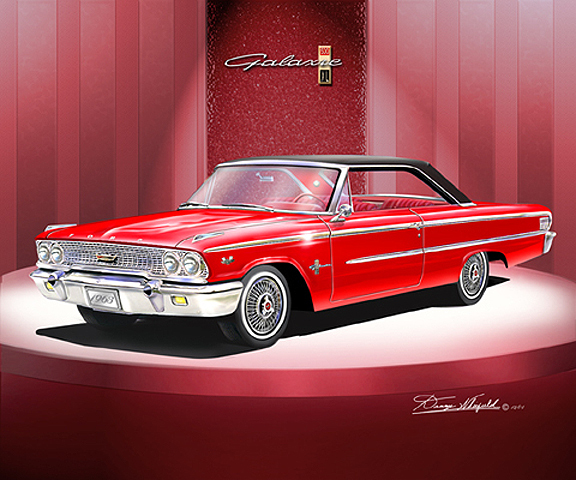 The author's first car was Ford Galaxie 500 in his life unfortunately you could not able to use anymore as you were in comma. Like you I have such a incident in my life. I was having Volkswagen car. While going in a long trip I had an accident. In that car accident I got my leg fracture and and left hand bone broken. So I suffered a lot for 3 months. My car was fully damaged so I sold my Volkswagen car.